After three years of painstaking research, Dean Lucas developed an exclusive and stylish men’s watch that is also affordable. 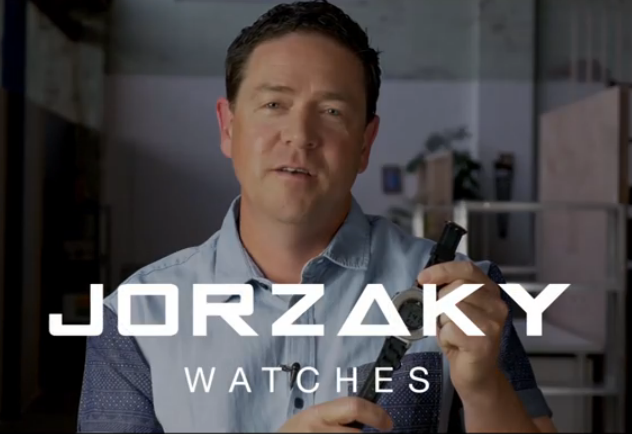 With help from the Small Business Mentoring Service, Jorzaky Watches is becoming a reality. A watchmaker of 25 years, Dean has worked for some of the world’s leading brands including Rip Curl, Oakley, TAG Heuer, Zenith, Ebel, Louis Vuitton and Dior. After deciding to design his own watch, he travelled to Hong Kong to attend the Hong Kong Watch and Clock Fair, meeting suppliers and learning about the industry outside the workshop to develop a unique quality time piece. Jorzaky Watches are built for the action-sports market but would also suit the corporate, wholesale sector. 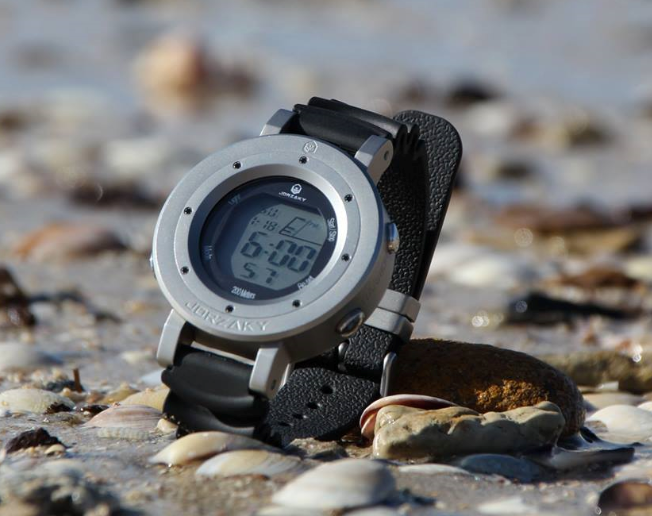 They are highly durable while not compromising on style and are built to survive on land and in the sea. Dean launched his flagship product, The Warrior, in February 2015, through a 60-day Kickstarter crowd funding campaign. He hopes to produce and market the watches from his Geelong base. “After working in workshops and for large brands for 25 years, I wanted to design my own watch, something that I would be proud to put on the market and something that was made in Geelong,” he says. Dean heard about SBMS through a guest speaker at the Geelong Business Festival. “After attending the seminar, I understood the benefits of having the aid of someone else who has been through the process of starting up and running a business,” he says. Dean was matched with UlrichDuenzl, who has more than 20 years’ sales and marketing experience in the automotive engineering industry. In 1991, Ulrich started his own business and oversaw its sales and marketing as well as preparing tenders and quotes. He built it into a successful venture with an annual turnover of more than $1 million and now owns and manages an importing business. Ulrich and Dean had two mentoring sessions over six months and still communicate by phone. Ulrich says Dean initially wanted to build an exclusive office watch, but decided instead to target the active lifestyle market. Ulrich “diagnosed” Dean’s business idea, which was in the early prototype stage, and found that among other capabilities it had a highly skilled proprietor with a high drive and vision and a high degree of business viability. Dean had made some attempt at a business plan and was in the start-up phase, but could improve his team strength, funding and financial planning. He had some ideas and had worked on profitability, a marketing plan and evaluating his competitors. The Warrior had huge export potential that would be enhanced by additional funding. As a niche product, Ulrich and Dean determined that it needed promotion in a refined market. Ulrich also discussed aspects of the new business that needed attention, which they continue to work on. Dean has used SBMS resources such as the two-page business plan, 90-day goal planner, Branding Values and Breakeven Analysis Template. After the mentoring began, Dean attended the Hong Kong Watch Fair and prepared a prototype of The Warrior. He had in-depth discussions with the Hong Kong Chamber of Commerce and Ulrich connected him with Austrade to investigate possible grants and funding for Australian inventions. Dean has started a Kickstarter campaign with help from a Deakin University marketing graduate. He has one employee and plans to open a store and hire more Geelong locals once he is past the start-up stage. It is too early to tell if profitability has increased, but Ulrich says Dean was greatly encouraged to pursue further development after meeting overseas suppliers. He has also secured some Kickstarter funding. “I helped to build up Dean’s confidence in taking a great product to market,” Ulrich says. Dean is confident his watches, which have innovative features that other high-end brands are yet to incorporate, will succeed. “The case itself is top-loading,” he explains. “This means that unlike a regular watch, the inside components are accessible by unscrewing the top of the case. This helps to make the watch more shock resistant and reduce the potential of water leakage.